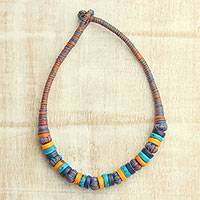 Colorful Bone Beaded Necklace from India, "Colorful Harmony"
For a bohemian addition to your wardrobe, this necklace is presented by India's Rahul Jain. 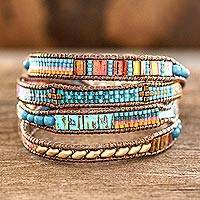 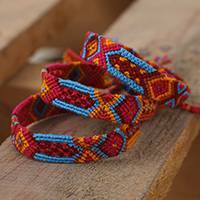 Local artisans handcraft the necklace of cotton cord with beads of colorful hand-carved bone. 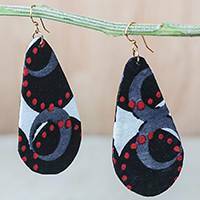 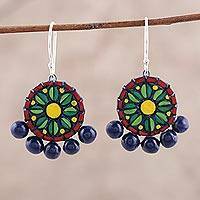 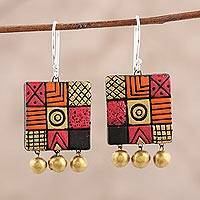 Hand Painted Ceramic Dangle Earrings in Black Red and Gold, "Midnight Splendor"
Garnet Beaded Wrap Bracelet Crafted in Guatemala, "Starry Sea"